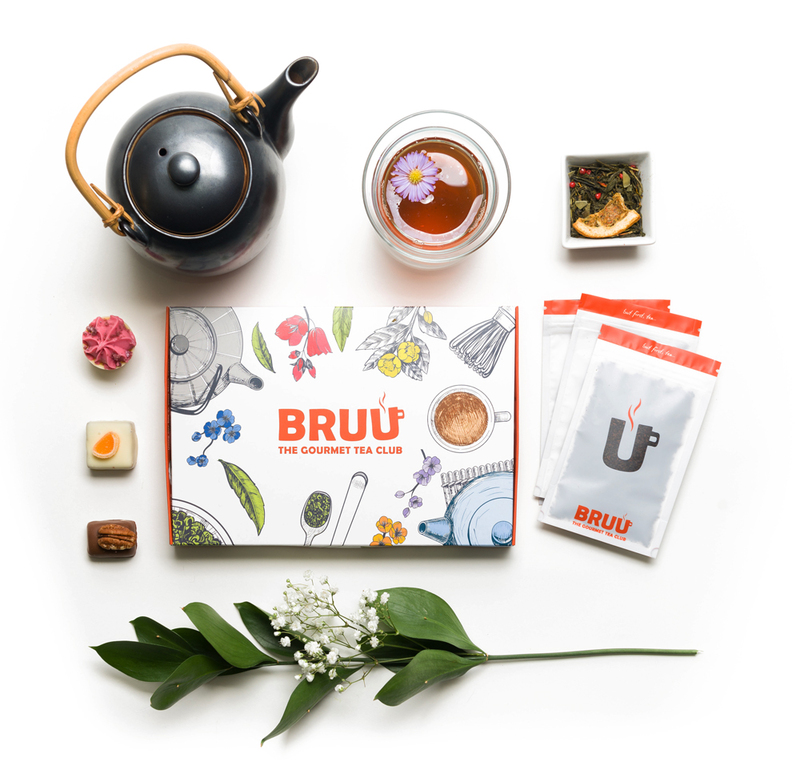 All you need to do is tell us the types of teas you like and around 1st of each month we'll post your BRUU order through your letterbox. It will be one hell of a tasty cuppa, guaranteed! 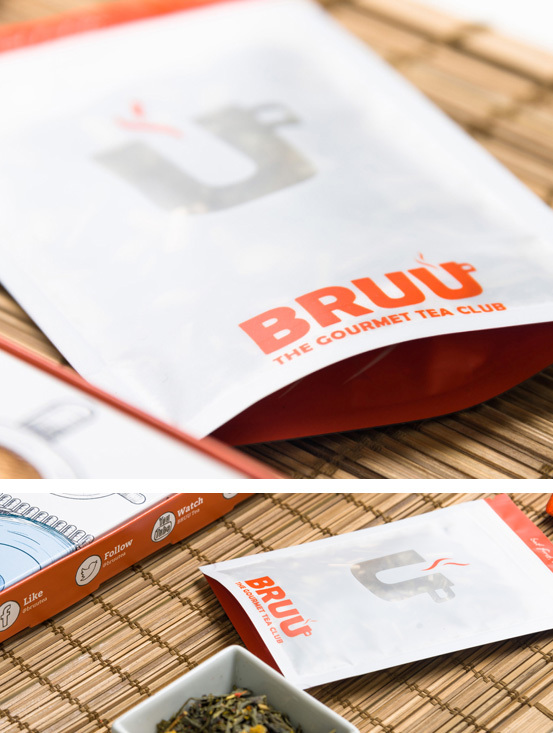 You will get 3 different teas every month delivered through your letterbox. 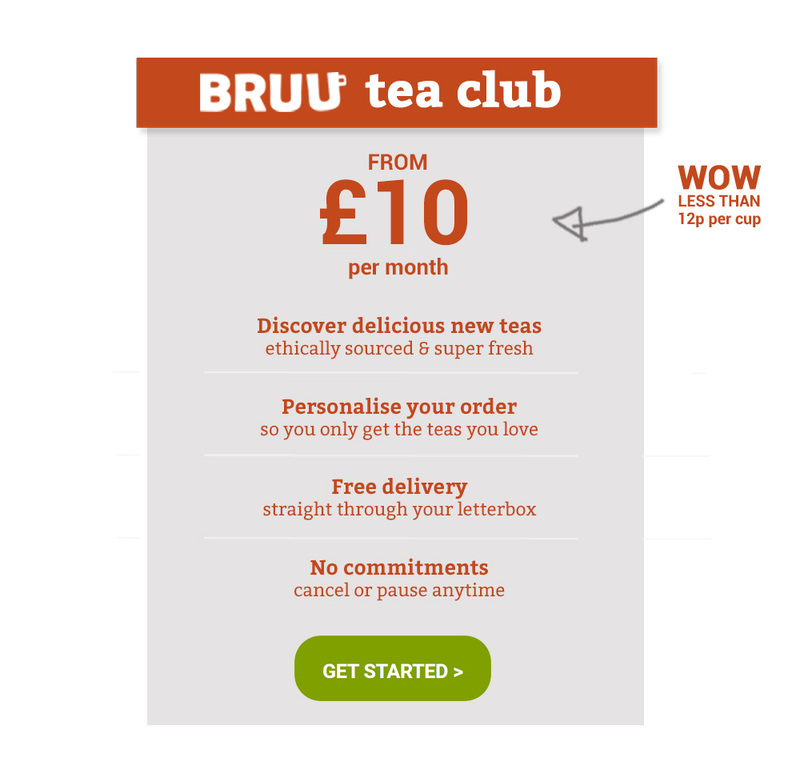 Each box will be personalised according to the tea preferences you select when you sign up. 2) How much tea will I get? Each box contains enough tea for 20-40 cups depending on the type of tea you select and if you re-infuse the teas. So that works out at less than 12p per cup. Your teas are shipped on the 1st of each month and usually arrive within 2-3 days and for our international members between 5-7 days. We take your first months payment now and then automatically charge your card every month until you tell us to stop or for our 3, 6 and 12 month memberships we recharge your card on your renewal anniversary. When you join and tell us your tea preferences our clever tea engine creates your personalised box. You can then log into your members area and rate the teas we have sent which helps our tea engine select an even more personalised box next time. 7) How much is delivery and can I cancel? Delivery to the UK is FREE and outside of the UK it's £2.99 per month. You can pause, skip or cancel your subscription at anytime.